I think by now everyone knows my feelings on Feral's beers - they truly are exceptional! 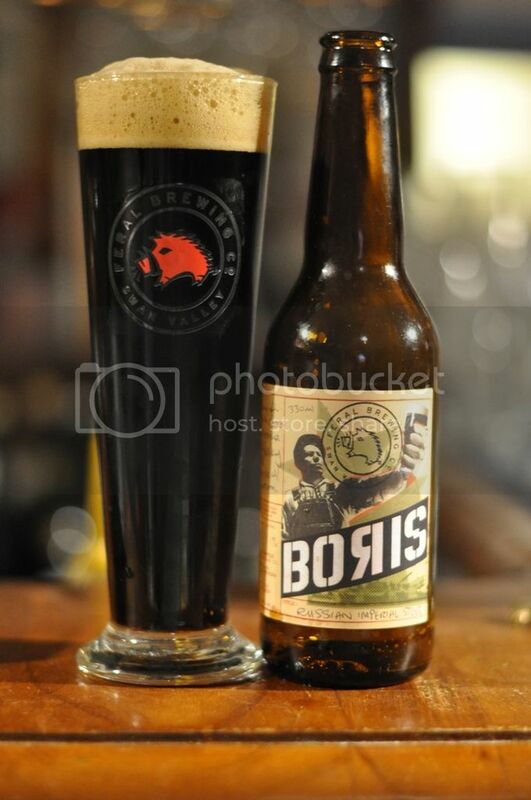 Boris is an Russian Imperial Stout brewed with Oatmeal. Since the last time I've had this beer it's had a bit of a re-jig, in terms of both recipe and label artwork. This is was one of my favourite beers in the past. I had a night at The Royston, when they had the old recipe on handpump, where I imbibed 6 or 7 pints of it! Hopefully the new recipe is just as good! The Imperial Czar badge is for drinking Russian Imperial Stout and has some of my favourite Untappd badge artwork. It's definitely time to stop talking about it and start drinking it though! Just as I remembered Boris pours jet black with quite a small khaki coloured head. Despite it's small size and a few large bubbles the head has good retention. with a thin layer covering the body of the beer throughout. 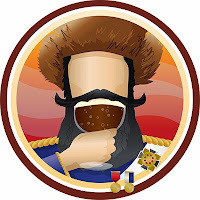 There is also excellent lacing left behind, which is not something you always associate with Russian Imperial Stouts. In the Feral glass it looks great! Onto the nose and once again it's very similar to what I remember, with chocolate, roast and coffee all abundant and just a hint of that oatmeal creaminess. In the background there is also some floral hops, which don't seem to be particularly bitter. It's a very inviting nose. The real test was always going to come down to the taste, and Feral's Boris delivered! It's so smooth, it's so creamy and it has so much chocolate and roast flavours. It's actually quite bitter and I confused if the bitterness is coming from the hops or something in roasted malts. Having now had this again I can't understand why I didn't have one for so long! It's a brilliant stout and now coming into winter it will be a regular in my fridge again. If you are a stout fan this is one you have to seek out. The new 9.1% version hasn't lost anything in flavour, but is probably a bit more drinkable than it's 11.5% predecessor. Make sure you let this beer warm; the flavour difference at 8-10 degrees is amazing!